Die Steel has very good high temperature characteristics and excellent toughness combined with resistivity.It is used in Drop forging dies, Pressure casting moulds, Die casting tools, Punches etc. HCHCr has high dimensional stability with added wear resistance. It is used in various kinds of tools and dies, punches, cutters, reamers, finishing rolls, hobs etc. 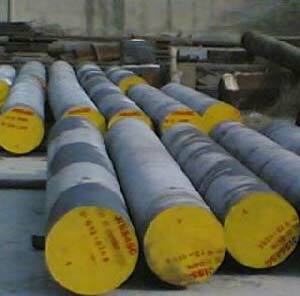 Type of Steel : Hot Die Steel, High Carbon High Chromium Die Steel etc.